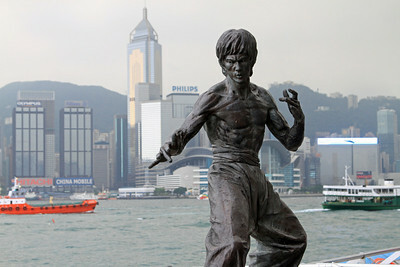 Bruce Lee statue, Avenue of Stars, Hong Kong waterfront. 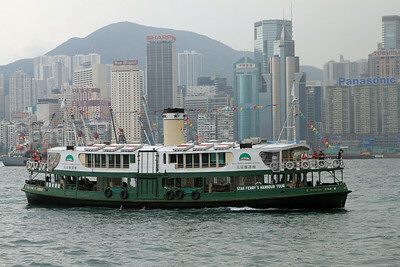 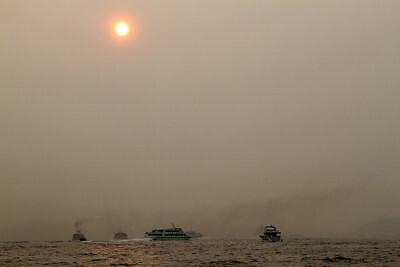 Star Ferry, Hong Kong harbour. 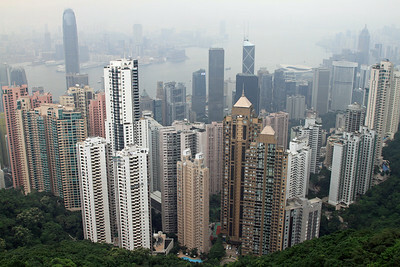 View from Victoria Peak over Hong Kong on a very hazy day. 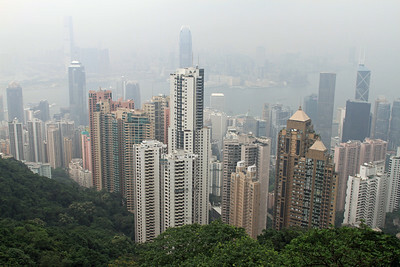 Hong Kong from Victoria Peak on a very hazy day. 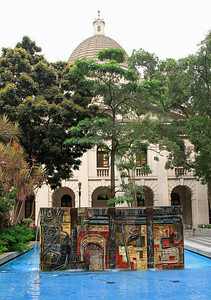 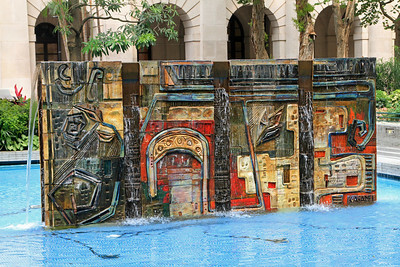 Tile fountain in Statue Square. 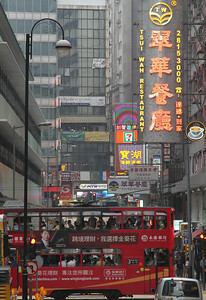 Tram and street signs, Hong Kong. 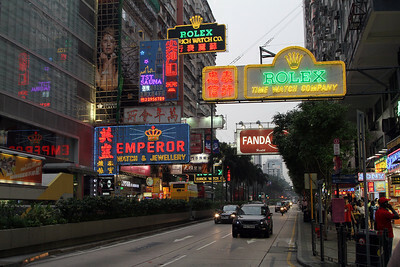 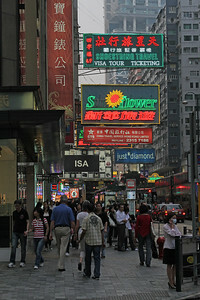 Neon signs, Nathan Road, Hong Kong. 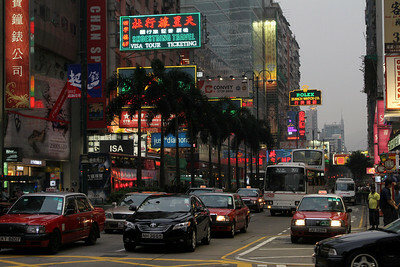 Neon signs and cars, Nathan Road, Hong Kong. 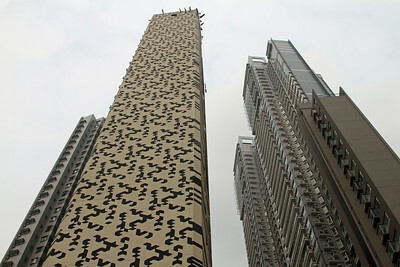 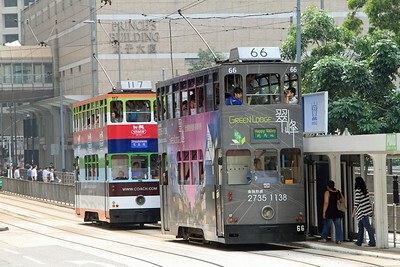 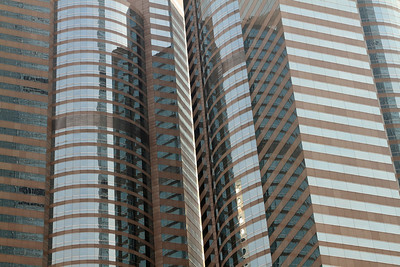 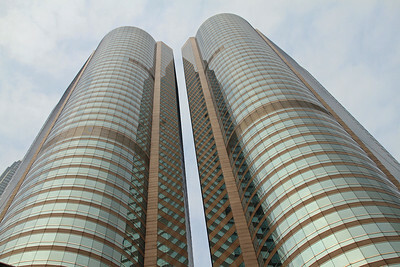 The 'Ding Dong', double deck tramcars, Hong Kong. 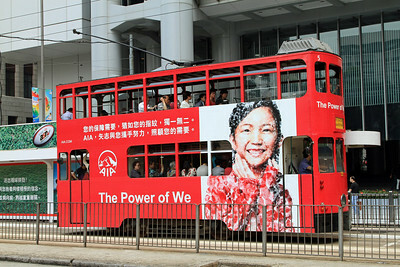 Double deck tramcar, Hong Kong. 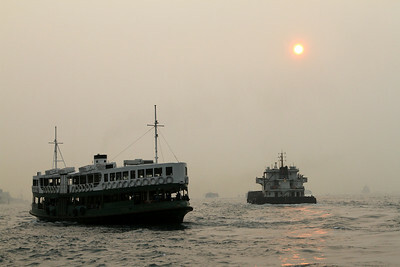 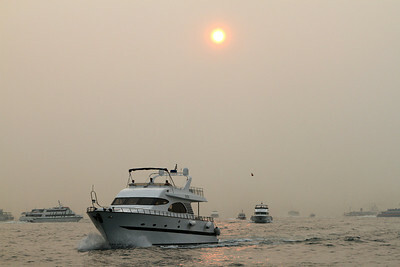 Hong Kong harbour on a very hazy day. 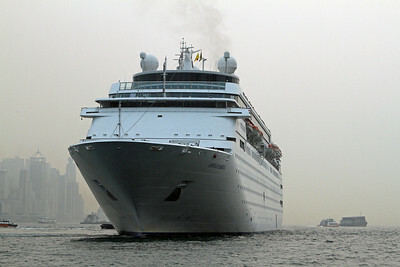 Cruise liner on Hong Kong harbour (photo taken from the cross-harbour ferry).